Whilst it may seem like a drag, shaving and grooming are essential practices for the modern gentlemen. Whether you’re shaving every morning or you’re tidying up once a fortnight, a shaving subscription box is something you’ll benefit from. 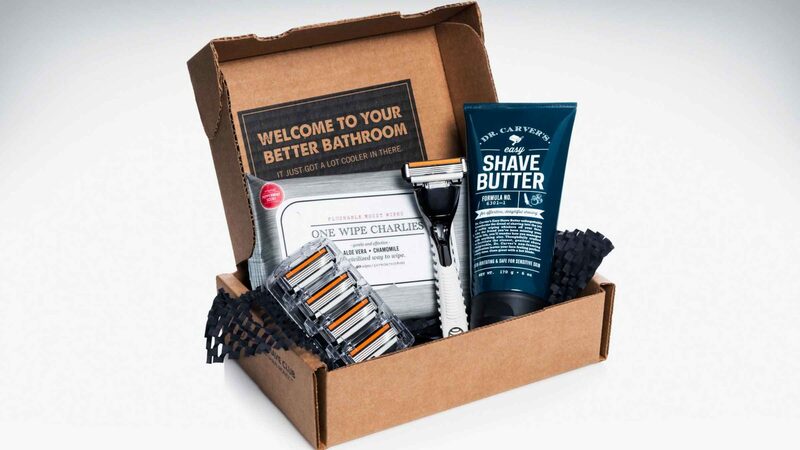 The value, which tends to surpass the price of the box, and convenience of having them delivered to your door on a weekly/monthly basis means grooming and shaving boxes are on the rise. The last thing you want is to go to the supermarket and be inundated by expensive products; why bother leaving your house when you can get it delivered to your door? Read more on Grooming. 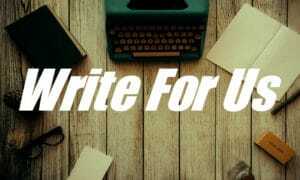 Looking to ‘Shave Time. Shave Money,’? Then look no further than the Dollar Shave Club. Unfortunately, we can’t reap the benefits of the dollar aspect but, Dollar Shave Club still offers a cracking deal. 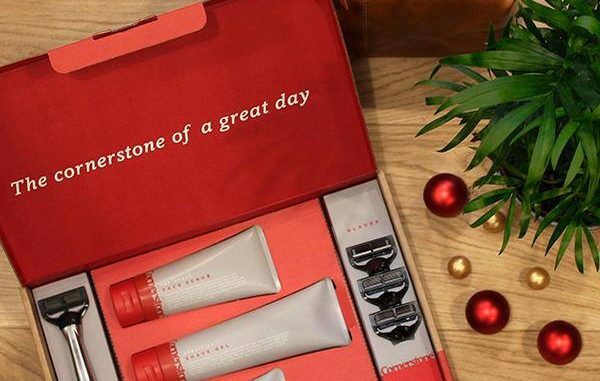 The initial starter set, which costs £5, consists of a razor, accompanied by replacement razor heads, and shave butter. From then on you pay a monthly fee of £8 where you will receive replacement razor cartridges, which can be delivered around your schedule to suit you. No need to rush through those replacements as you are free to cancel at any time without being tied into anything. With free shipping thrown in, you know you’re getting a good deal. Try the Dollar Shave Club starter set now for £5. With a plethora of products under their belt, from dental floss to post-shave balm, we’re going to be focusing on their shaving subscription box; available in three different packages. The starter pack features a personalised chrome razor handle, a set of 6 blades and shave cream, which is available for £10. The shave gel, which can be swapped for their shave cream, from Cornerstone is made of a blend of eucalyptus oil and ginger extraction, a dreamy combination for an irritation-free shave. Also, if you’re keen to mix up what you’re receiving in each package then you’re free to do so, such as choosing shave gel instead of cream, or opting for a face scrub to exfoliate beforehand. Each package currently has a reduction of £10, so make the most of Cornerstone’s deal now. 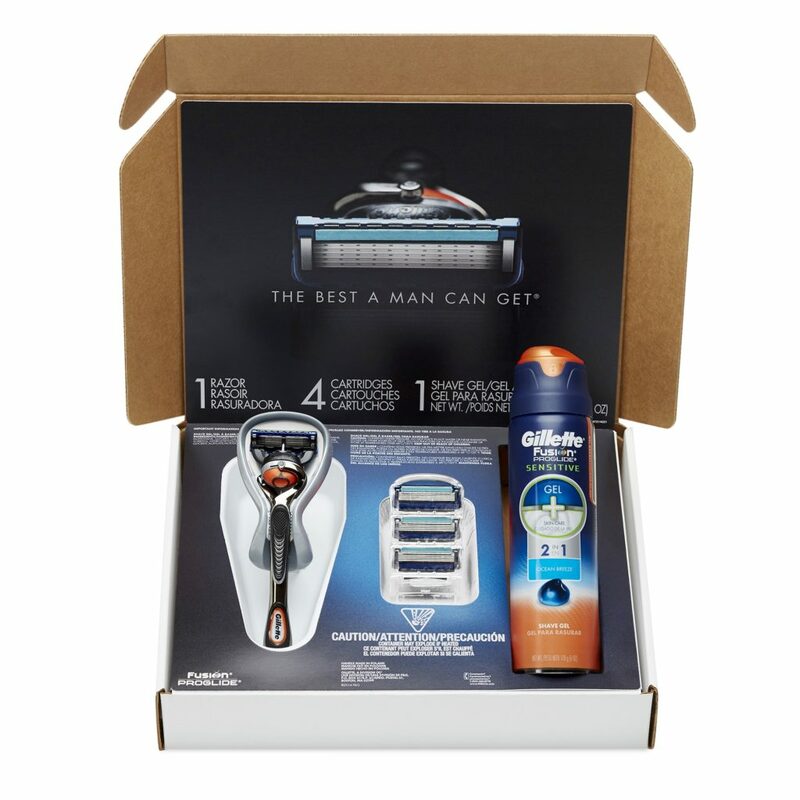 The Grandfather of shaving goods, Gillette, offer a subscription based service that delivers a personalised razor, razor heads and shaving cream delivered to your house as often as you’d like. The flexibility over the choice of razor you want is narrowed down to 8, all of which have a more advanced shave than the other, but carry a higher price point. The Proshield Chill is the most advanced offering with a lubricating strip on the head before and after the blade. Plus, the opportunity to customise your razor with a unique design is enticing. 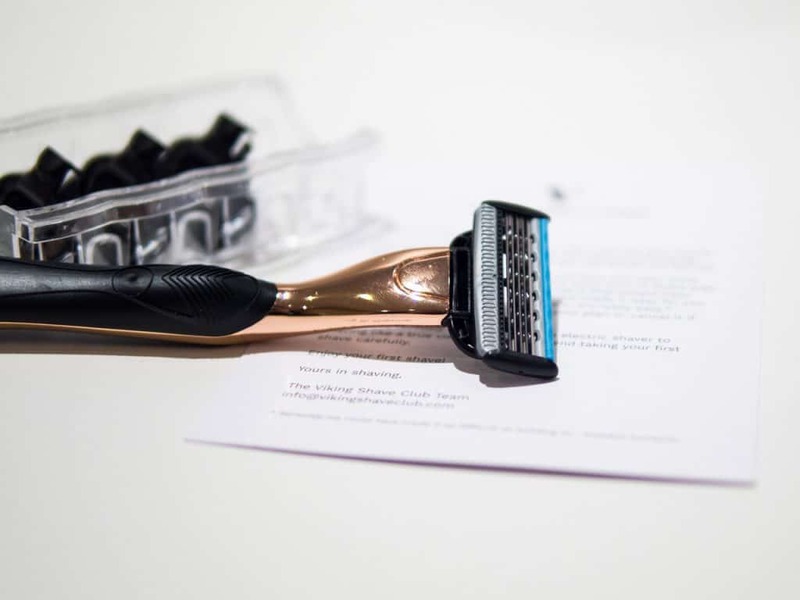 Find out more about Gilette’s Shave Club. With the popularity of all things facial hair – beards, moustaches, and all the rest of it -, the Dollar Beard Club is making things very convenient for all your shaving and grooming needs. 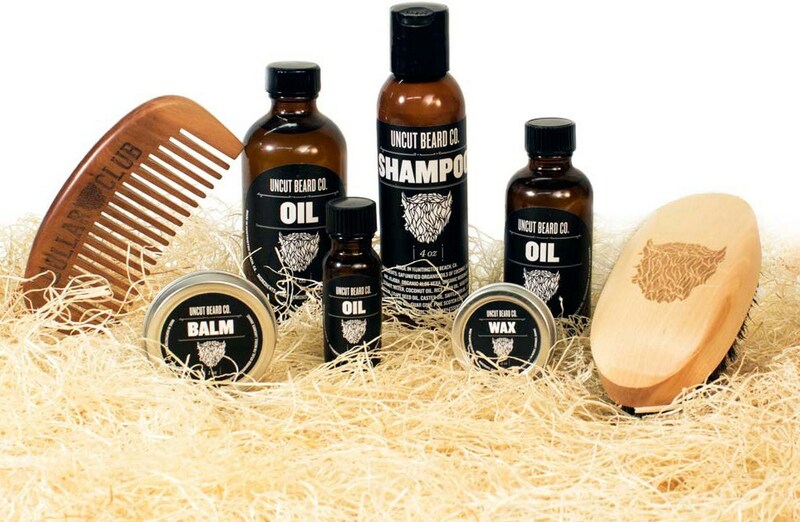 Combining products such as beard oil, combs and shampoo, you have full control over what goes into your box. As you customise your box you go through the steps of choosing a beard oil, wax or balm, shampoo or body wash, growth accelerators and accessories such as combs and brushes. Obviously with the more items you choose, the more costly your box is going to be in total. A careful curation of natural products delivered to your door saves you that dreaded trip to the shops, where you end up exhausting yourself and your limited options. Start your box with Dollar Beard Club now. New-York based Harry’s are offering their shaving subscription box at a level of quality of value that is hard to match. 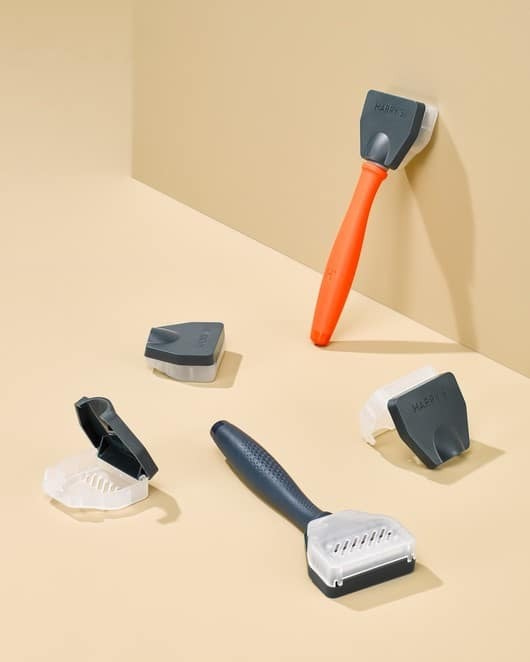 Their trial set, which is currently free, includes a Truman razor – available in orange, olive or blue – with blade, travel cover, which prevents damage to the head and shaving gel. With Harry’s you can order what you want – razors and blades, just blades or just shaving gel – when you want it and where you want it delivered. As previously mentioned, the level of quality, from German engineered blade cartridges to the etching of the letter H into the razor; shows their attention to detail is key. The prices make this a subscription box not to gloss over. Start your free trial with Harry’s now. You know the feeling of when you’re down to your last razor head, you aren’t getting the close and smooth shave that you’re used to. Well, with the aid of BIC Shave Club you can have 3 or 5 bladed razors delivered to your door at your convenience. Whether you have 4 razor heads delivered on a monthly or bi-monthly basis, you can rest assure that you’ve BIC’s stamp of approval for each product. The high-quality blades offer a smooth shave that will help for guys with sensitive skin. Unlike others on the list this box plays it a bit more simple with their approach, a razor handle and supplementary blades, as opposed to those offering shaving gels, post-shave balms and the sort. But, the price does reflect that with an introductory offer available for newbies – a razor handle and one razor head – amounting to £3 with free shipping on top. 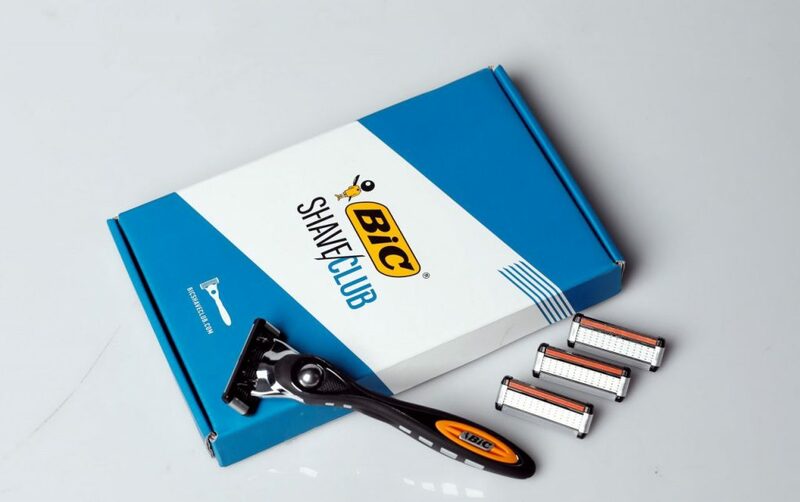 Check out the introductory plans with BIC Shave Club. Looking for a traditional wet shave? 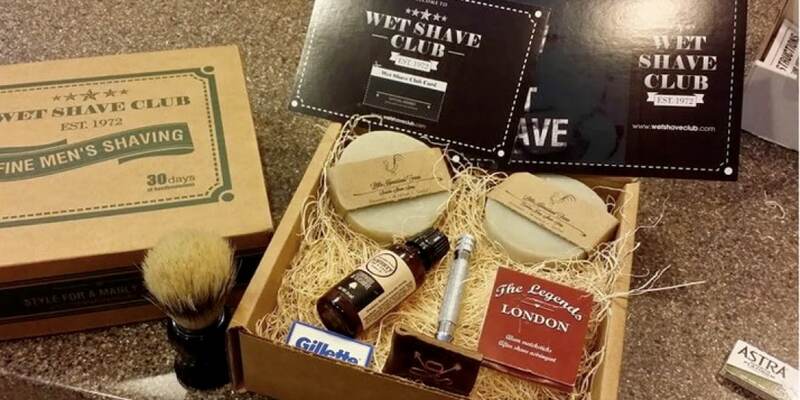 Besides maybe a trip down the barbers, The Personal Barber offers everything you need for a wet shave all packed nicely into a box that is your delivered to your door. With an array of shaving goods, from balms to cologne, that’ll have you looking forward to your morning shave, you’ll be more-or-less a professional in no time.. The initial box includes a double-edged safety razor, blades, brush, shaving soap/cream and a mystery product! Step-by-step instructions are included so you don’t have to worry about what each product does or how to apply it. The monthly subscription rate is £24.95. Ensuring that wet shaving is that way that it should be – convenient and no hassle – is Wet Shave Club. For anyone who shaves on a regular basis, there’s no better feeling than a warm lather on your face and the razor blade against your skin. Your first box from Wet Shave Club, setting you back a mere $49.99, a sure bargain when you see the contents, includes a razor handle with 10 blades, shaving soap, an aftershave and some other essentials. This wouldn’t be a starter without a freebie, so they’re throwing in a free shaving brush and chrome razor. Also an ideal gift for your partner, brother or son. For a wide variety of grooming products head on over to the grooming section! Tailored towards your skincare and hygiene needs You know you’re getting your value for money when you get £60-70 worth of product, packed into a box that costs £19 and is delivered through your letterbox! 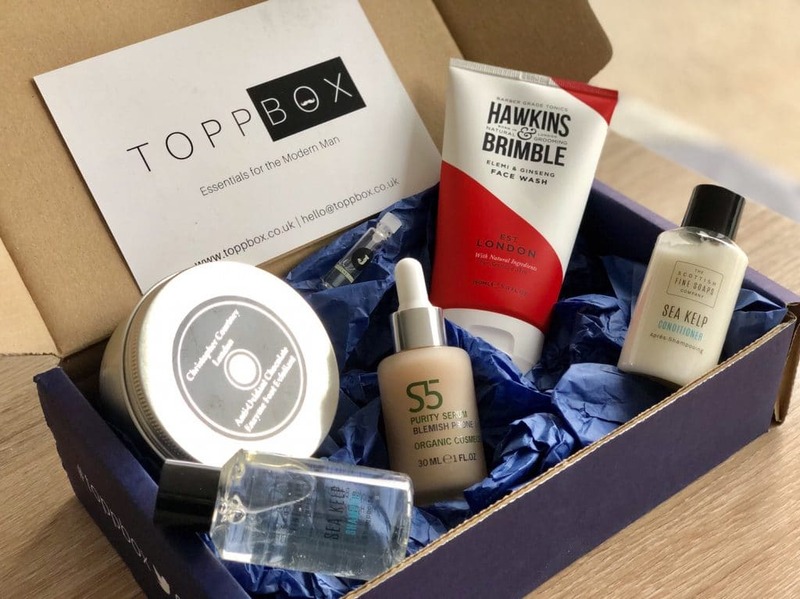 TOPPBOX offers 4-5 top-shelf grooming and skincare products per box, products that are hard to find in your local retailer or pharmacy. Items range from hair styling products to men’s skincare – scrubs, moisturisers and face washes – which allow you to try something new and find new products for you. So far, TOPPBOX is the most customisable by asking prospective buyers to fill out a questionnaire that asks about your skin, age and style, meaning it can be tailored to your specification! Get your first TOPPBOX delivery now for £19. This is for those of you who might be a sucker for the Scandinavian lifestyle – clean and minimal. Of the following, which do you identify with- The Guard, The Viking and The King? Well, each of these corresponds to the type of razor blade you receive and number of cartridges that come along with it. Viking Shave Club allow you to have replacement razor cartridges, either 4 or 5, delivered each month to your door, saving you that dreaded trip to the supermarket to buy expensive replacements. The monthly cost is between £3 – £15 depending on which razor you choose from the get go; besides an initial additional fee for the razor handle. Choose your razors and get going now. 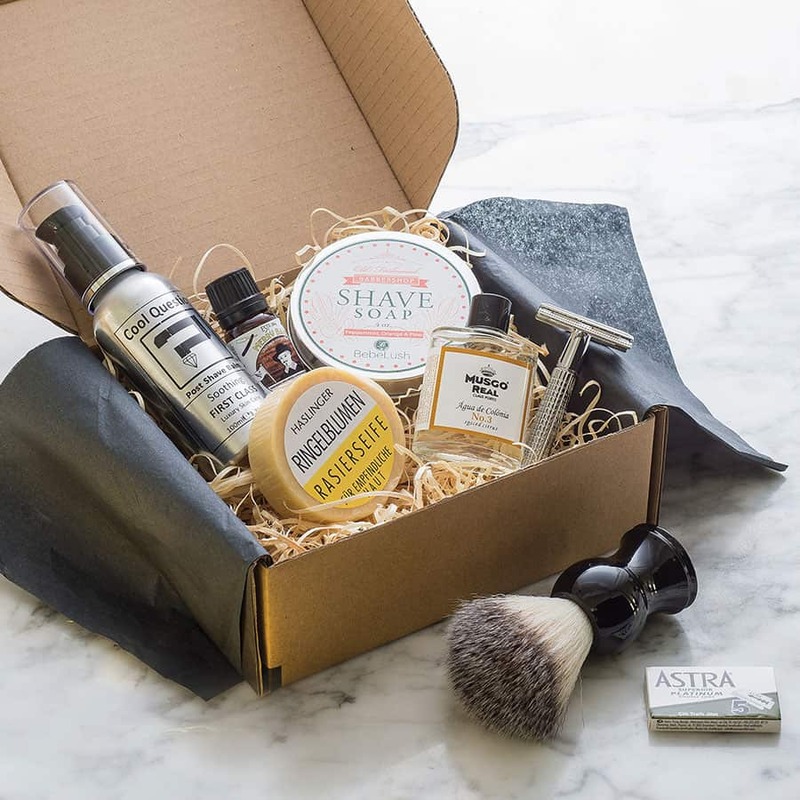 The aforementioned grooming and shaving subscription boxes are suited to any individual with a wide range of packs suitable to different routines. Whether you’re interesting in Dollar Shave Club, Harry’s or TOPPBOX, you know that you’re getting quality products delivered to suit you, whilst not blowing the bank. For a wide variety of grooming products head on over to The Idle Man. Now that your beard and skin is taken care of, time to work on finding a hairstyle that suits you. 25 amazing redhead styles that any guy can pull off!